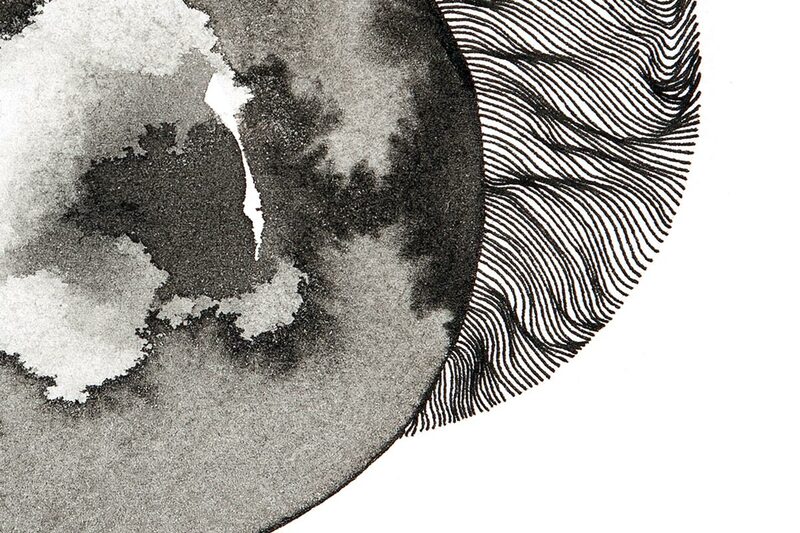 Fine intricate lines make up this moon, created with a pigment fine liner and Indian ink. Taken from an original drawing by Mandy Maria. 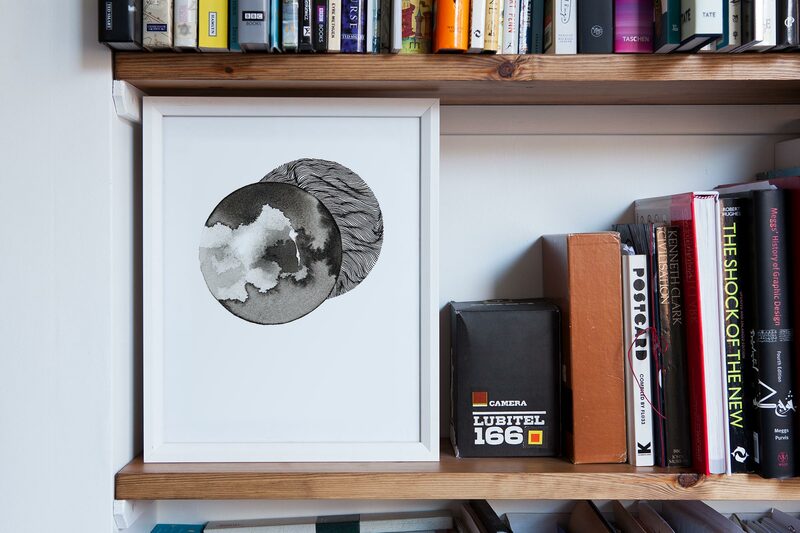 This print is called ‘Small Moon 01’.